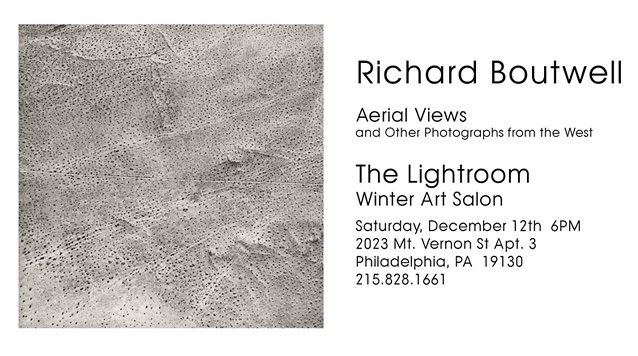 Come out this Saturday evening at 6PM to the Lightroom's Winter Art Salon at Al Wachlin's house (Art Museum area) . I will be showing new platinum prints from my series of aerial photographs, as well as several photographs from my series on the Lower Owens River Project in Eastern California. It will be pretty informal and photographers are encouraged to bring there own work.